Dehydrating orange and lemon slices during the summer while they are abundant and at their least expensive prices, will give you the fall season to use those dehydrated slices in making some homespun, sweet smelling decor for the holidays as well as a gift idea! 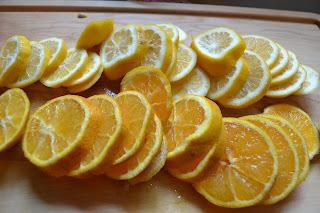 My local scratch and dent grocery store had bags or oranges for $1.00 and Lemons 10 for a $1.00. Although the oranges didn't look to pretty on the outside, they were super sweet on the inside! 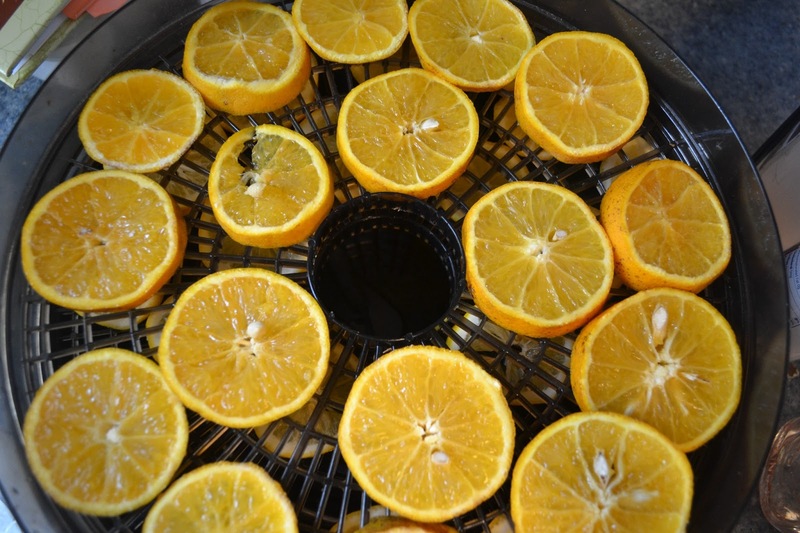 I knew this was the perfect time to grab some citrus fruits and dehydrate them for the holiday season. Slice fruits as evenly as possible. approx. 1/8 inch thick. Dry in dehydrator 8-12 hours until all moisture is gone. Or Oven dry: by placing a wire cooling rack on top of a baking sheet. Place slices on top of the cooling rack and dry in a 200 degree oven for approx. 2 hours until all moisture is gone. 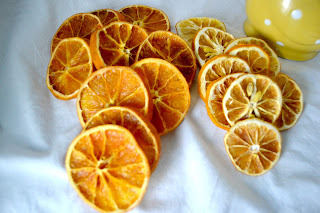 A FEW OF MY FAVORITE IDEAS TO USE THE DRIED ORANGE SLICES! Let me share some of my favorite bloggers and their great ideas that I plan on doing this fall for the holidays! I encourage you to visit them for all the details! 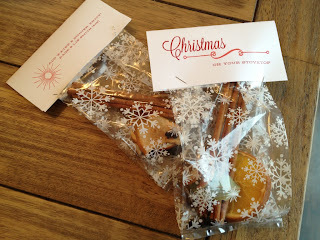 Love their free printable gift tag! Go check them out. 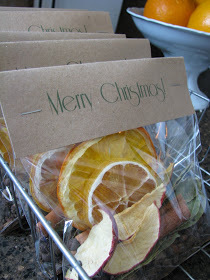 Perfect for giving or selling at a school holiday gift/craft sale! Here's another cute one! Love the clear see through bags! Maybe punch two holes in top and tie gingham bow in front? I can see adding in some cinnamon sticks, and maybe tying some torn strips of gingham or cranberries in between the slices? 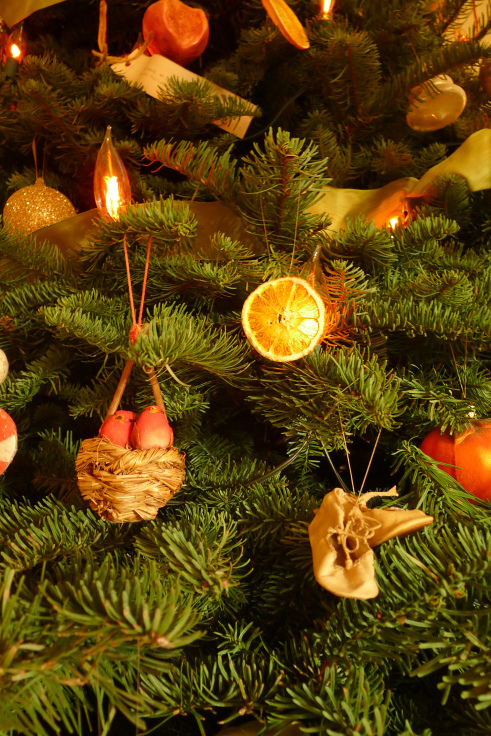 Would be lovely on a homespun tree for the kitchen! Sadly the link they share is for this wreath being for sale in the U.K. somewhere, but I love it and think we could figure this one out with sage leaves and cinnamon sticks right? Fishing line maybe threaded through? I'll let you see my attempts if I give it a try! Cute on kitchen cabinets? 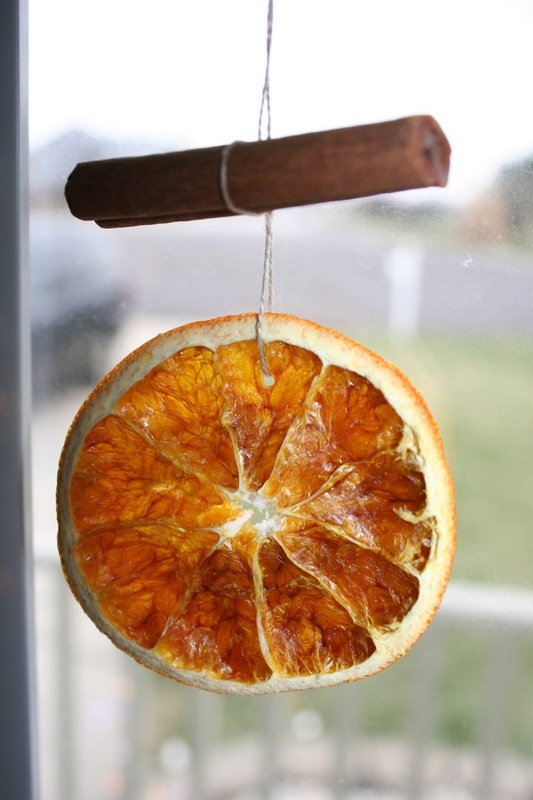 Simple yet pretty, feed fishing line through the dried fruit slices. Embellish with gingham ? Cranberries? Cinnamon Sticks? 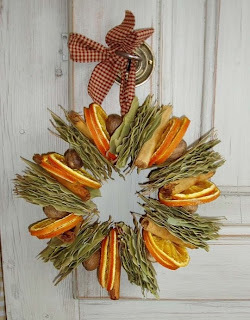 Would be so pretty to hang on tree's outside too for a lovely nature themed decor. Plus the birds would love it! 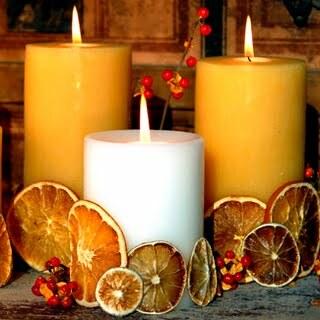 Would be pretty in a window or on a tree.